The age-old tradition of weaving fabrics from cotton in Wangphu Gewog of Samdrup Jongkhar, once widely prevalent has long been disappeared. Locals say almost all the households in the gewog cultivate cotton some four decades. But today, only a few households grow cotton and they used it used for making wicks for butter lamps. 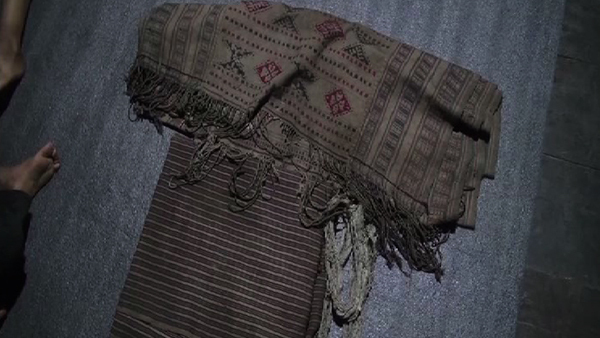 68-year-old Lhaki owns a kira woven with locally produced cotton as the main raw material. As an elderly, she shared what she remembers of the extinct practice. But over the years the handwoven cotton clothes have been replaced by easily available textiles in the market. Locals added the unavailability of the cotton seeds as another reason for people giving up the traditional practice. Some locals say they remember wearing cotton fabrics during special occasions and events in their villages. “I have my mother-in-law’s kira, woven with the local cotton and the one bought from India. But, I never tried weaving cotton fabrics,” Usen, one of the villagers, said. “Earlier, I used to wear only those clothes made of pure cotton and woven by my mother. I own a gho woven with the Indian and locally produced cotton,” Jimpa Jamtsho, another villager, said. Meanwhile, the gewog administration plans to revive the culture of cultivating cotton and weaving its clothes with support from the Agency for Promotion of Indigenous Crafts (APIC). “Last year, officials from the APIC visited our gewog. They encouraged us to cultivate cotton again. We were asked to submit a list of interested villagers. However, as of now, no one has come forward. We are yet to submit the list to the agency,”Sangay Tenzin, the Wangphu Gup, said. For now, the fate of reviving the practice is dependent on how many people are interested to grow cotton again. And looking at the present situation where locals are yet to come forth, it is feared they might have become used to the alternatives.